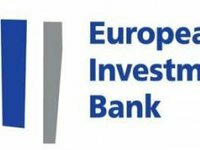 The European Investment Bank (EIB) and the Eastern Europe Energy Efficiency and Environmental Partnership E5P have signed two donor agreements totaling EUR 16.4 million to support higher education and municipal infrastructure in Ukraine. "This assistance will be used to upgrade educational institutions. The facades [of their buildings], ventilation, heating and lighting systems will be modernized ... The second agreement concerns the heating system in Kryvy Rih: meters will be installed at the consumers' level," EIB Vice President Vazil Hudak said at an official event to sign the agreements in Kyiv on Wednesday. Under the project, EUR 10 million will be spent on measures to improve energy efficiency in seven universities in Ukraine, and EUR 6.4 million will be allocated for upgrading Kryvy Rih's heating supply systems. E5P is a multi-donor fund supporting municipal investments in energy efficiency and environmental projects in the Eastern Partnership countries, namely Armenia, Belarus, Georgia, Moldova, and Ukraine.